« That frozen banana ice cream thing? It works. 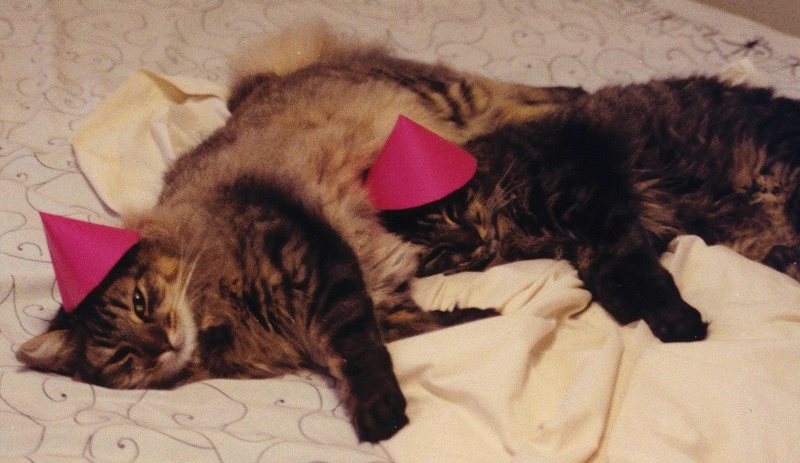 On Yin and Yang’s first birthday, we made them little paper hats. Yang, at left, did not appreciate the sentiment. Tomorrow, he turns 15 years old. No hats. But there will definitely be a celebration.